New Dean Anand Marri meets his community to discuss his goals. 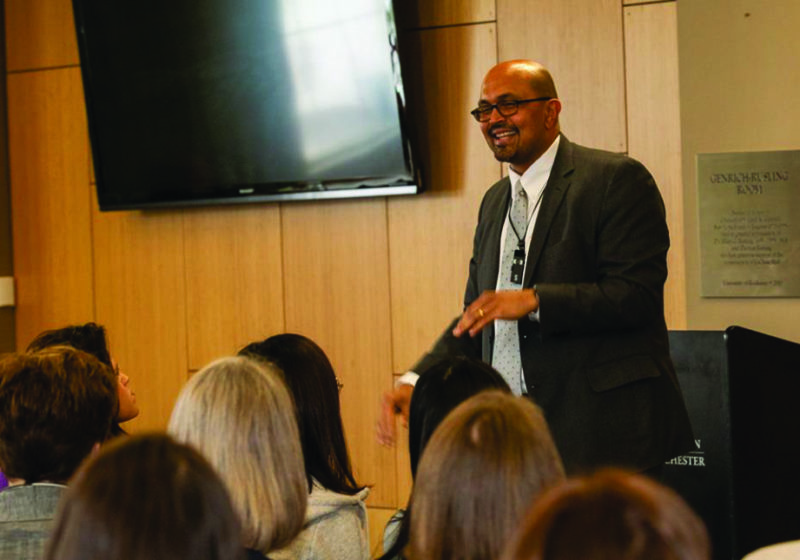 Anand R. Marri, the new dean of the Warner School of Education and Human Development, laid out his vision of inclusivity, diversity, and equity for the school and engaged in a Q&A session with the community this past Wednesday. Around 80 individuals attended the event in the Genrich-Rusling Room in LeChase Hall. 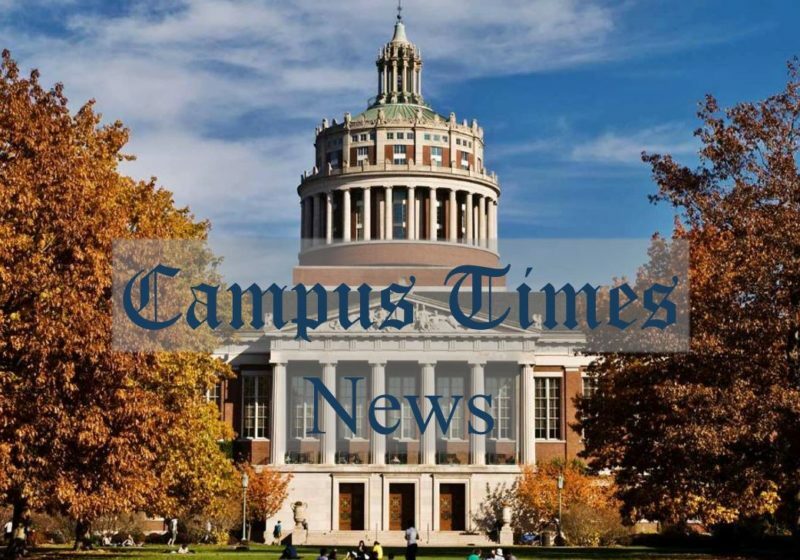 Marri replaced Dean Raffaella Borasi and began his five-year term on Jan. 1 of this year. Before the Q&A session, he spoke about what he hopes to accomplish during his term. He elaborated on these goals and pointed to different ways Warner can achieve them. Specifically, he called for more face-to-face meetings and open dialogues that move toward consensus. He also emphasized the need for clear and transparent communication to build and strengthen relationships internally and externally. When a member of the audience asked him to point to a specific example of how he will promote a culture of transparency, Marri talked about the importance of including everyone in email exchanges about policy changes. 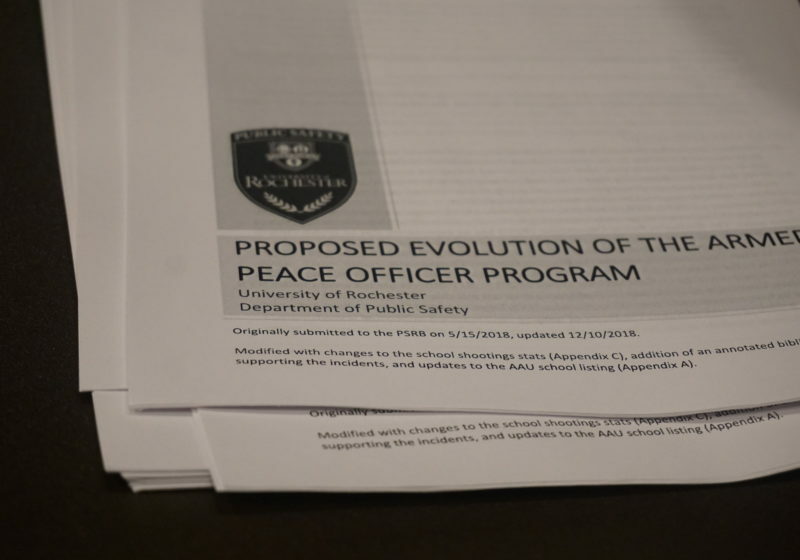 He cited how he recently received an email about approving an increase in tuition and forwarded the email to others. University Provost and Senior Vice President of research Robert Clark shared his enthusiasm about Marri’s future. “[…] He has clear ideas for how the Warner School can thrive in its missions to innovate K-12 education […] and effectively prepare teachers and administrators to make a difference in the schools that need them the most,” Clark said. In the Q&A session, Marri discussed the details of how to retain faculty and students of color, his commitment to improve and serve the Greater Rochester community, and his desire to decrease barriers between the different UR schools. As the event came to a close, Marri said he looks forward to working with faculty, staff, and students.